Nadine Aisha Jassat's Let Me Tell You This is a debut collection that marks a brilliant addition to Scotland's poetry landscape. Born in the UK, Jassat is of mixed heritage with roots stretching from Zimbabwe to India. Styled as a self-reflective lyrical peregrination of sorts, the poet cultivates the wild glee of wanderlust, unlocking hidden dimensions of identity that elude immediate perception. As the boldness of the title suggests, a reclamation of the right to speak burns urgently at its core. In this way, the lyric 'I' acting with authority to articulate, becomes a symbolically charged terrain in its own right, gesturing beyond its graphic bounds to wider gender and racial struggles. The book negotiates a poetics of escape from reductive assumptions surrounding race and gender, and from the pre-written narratives society relentlessly seeks to impose. The task gains delightful texture in the poem, 'Threads', which begins 'Gathering frayed ends […] Trying to use my words like stitches'. A musicality sings from the pages as does a playful fondness for rhyme, crafting a charming intertextual cohesion. The debut offers a fine display of 'how to make something beautiful / something useful, from tangled yarn / and threads', embracing rather than seeking to conceal the chaos and contradiction of identity with all its loose, unruly strands. Out Thu 7 Mar via 404 INK. 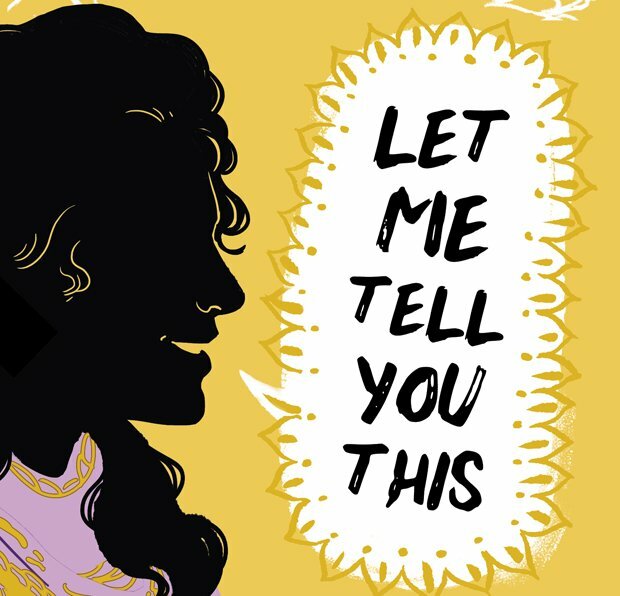 Poet and educator Nadine Aisha Jassat discusses her work challenging gender-based violence and her debut collection Let Me Tell You This, which will be published by 404 Ink in March 2019. Award-winning poet Nadine Aisha Jassat launches her debut poetry collection.